Neil Lennon Bans Bolton Players From Wearing Bobble Hats In Training, Turns Up To Training Wearing Bobble Hat Like A Massive Git! 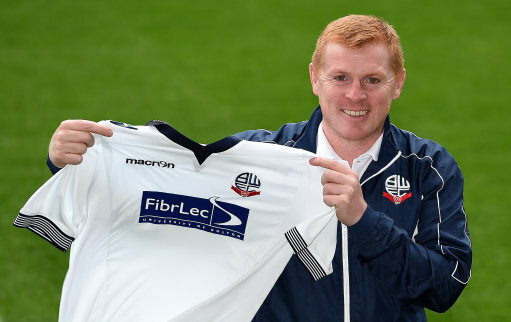 He’s only been in the job for a couple of days but Neil Lennon is already slapping his metaphorical ding-a-lings on the tables at Bolton Wanderers, having banned his players from wearing bobble hats in training. BECAUSE HE BLOODY WELL CAN, THAT’S WHY! “I don’t want players training in hats because they don’t play football in hats,” Lennon said. “But training was great and the response I got from the players was excellent. Do they play football in tracksuits? @Grant: A solid and relevant point, my good man. I wouldn’t call that a bobble hat. But then again, I’m a bloody Yank from Wisconsin so what do I know…?! We wear those all the time over by me one time there now. He’s not even wearing a bobble hat.